Sorry to say, this is not the two towers from the Lord Of The Rings series. 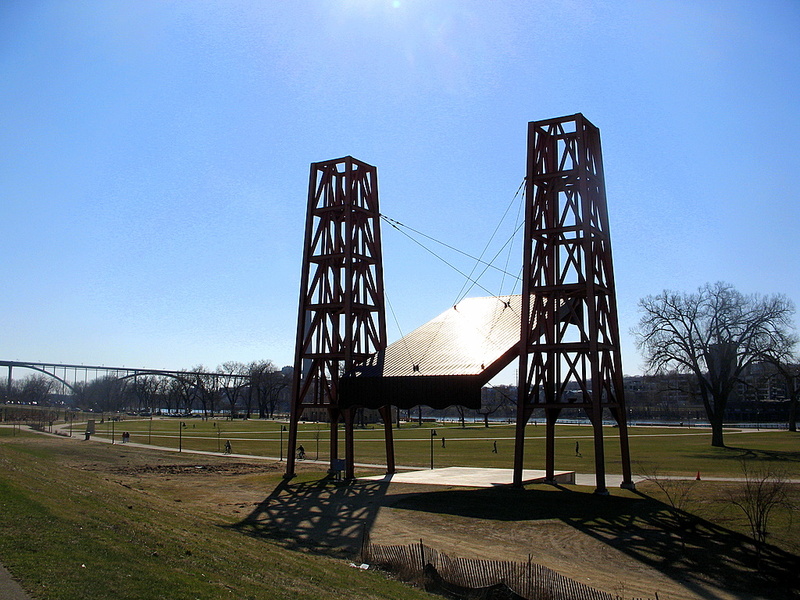 Instead, these two towers can be found on Harriot Island across the Mississippi River from downtown St Paul. This is a new addition to the park where summer concerts are held.